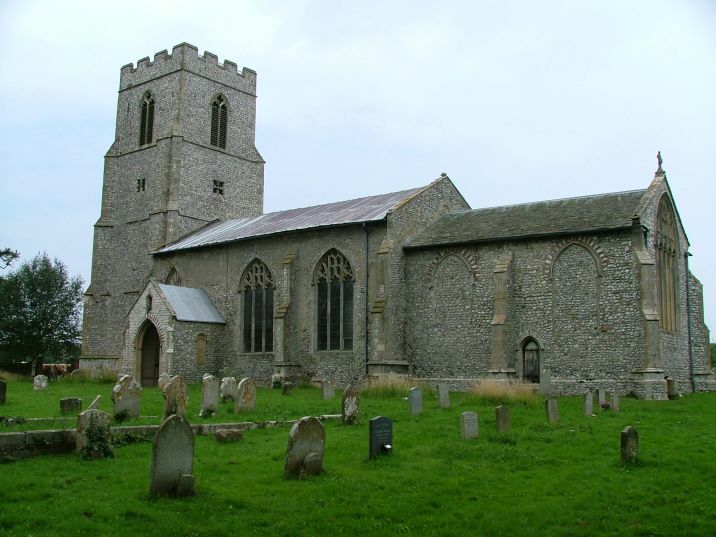 At the start of August 2005, I spent two days with Tom exploring churches in the Cromer area. We visited about thirty of them, but the days themselves can be contrasted by the weather - the first day was overcast with occasional showers of drizzle, the second a day of bright sunshine and wide open skies. 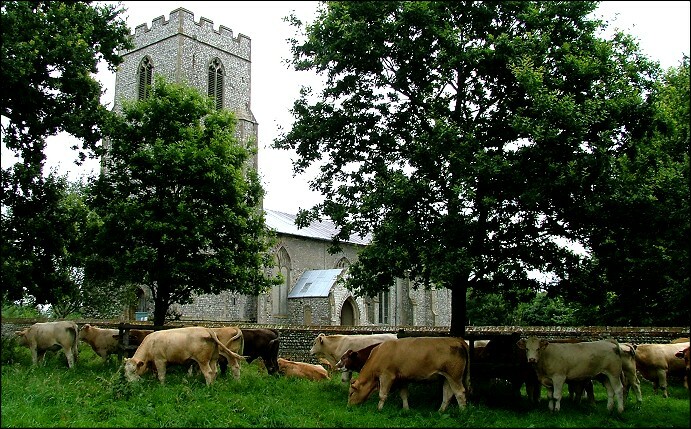 A portent of the summer to come, then, but what the days had in common was that we started both of them at estate churches, by which I mean churches in the grounds of a big house rather than some unfortunate corner of Cromer suburbia. 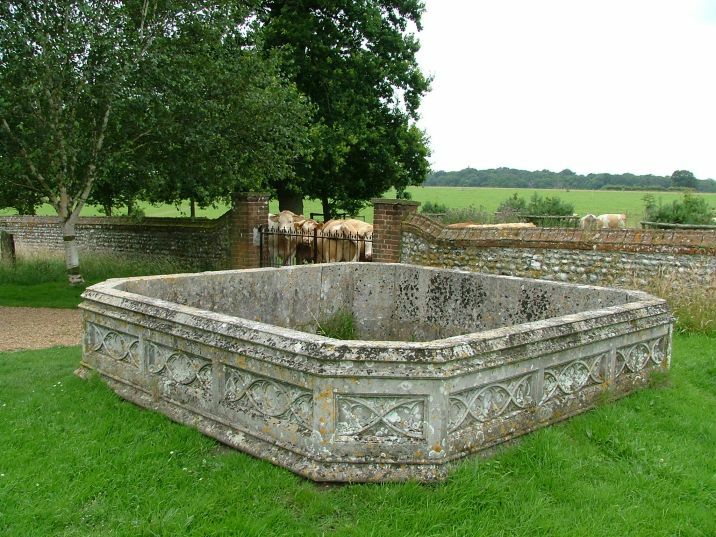 On day two we would try and find the church in the grounds of Gunton Hall against all the odds, but today it was the turn of Felbrigg Hall. 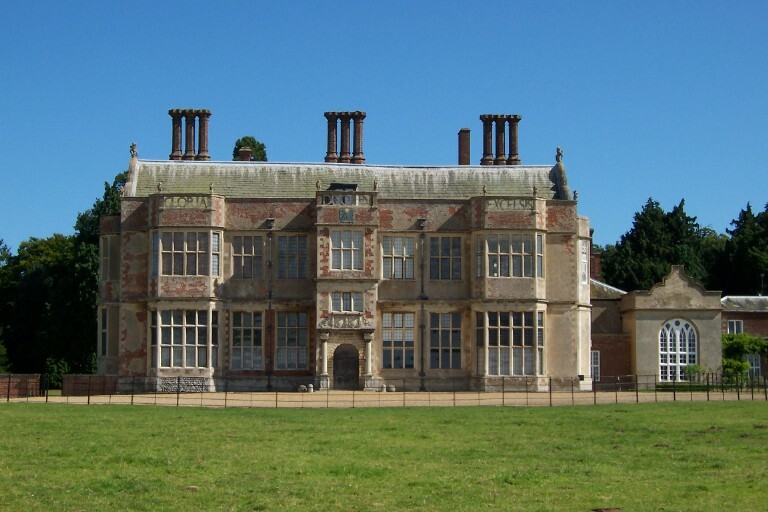 Felbrigg Hall must be one of the loveliest of the big Norfolk houses. 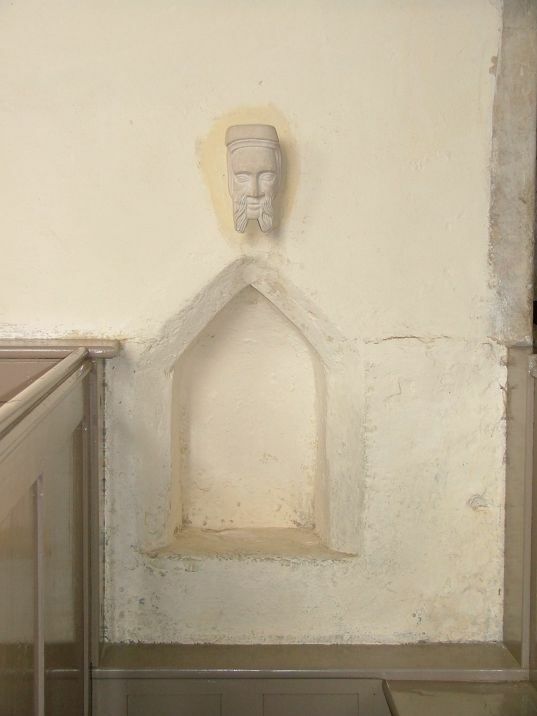 It dates from the 15th century, and you can see the south front in Tom's picture above. 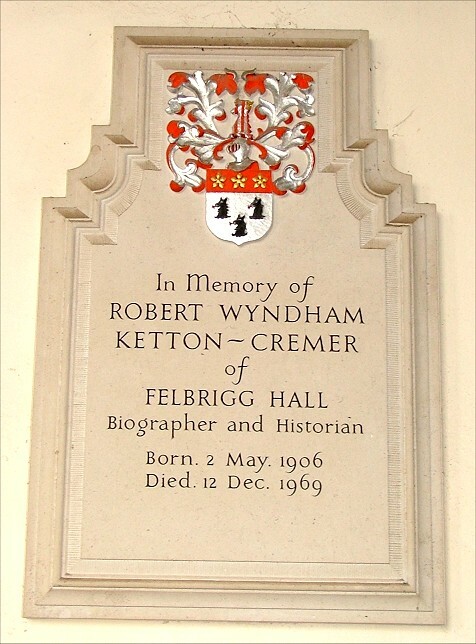 Now in the care of the National Trust, it was the home of the historian Robert Ketton-Cremer, and before him other Ketton-Cremers and Windhams, who long ago were de Felbriggs. 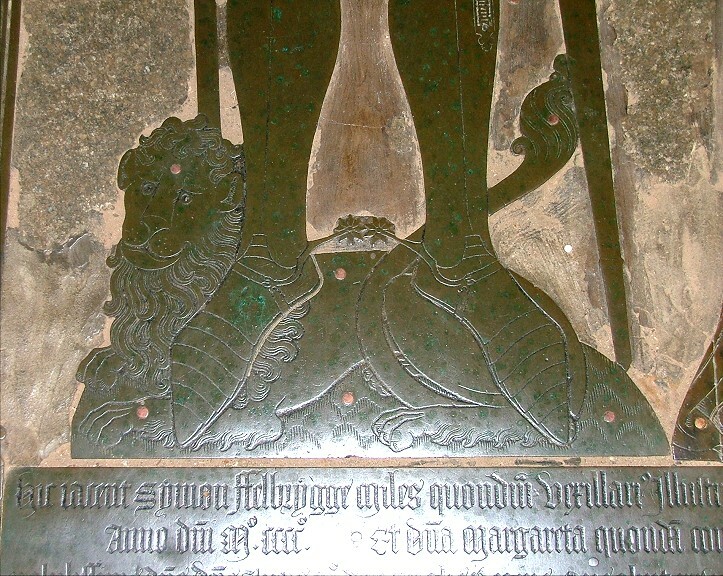 They have left their mark on the church in a big way, for it has one of the biggest and best collections of brasses in all of Norfolk, and this in a part of the county where every parish church, even the smallest and plainest, seems to have its figure brass. Ketton-Cremer was the last of the line: after him, the house came into the care of the National Trust. 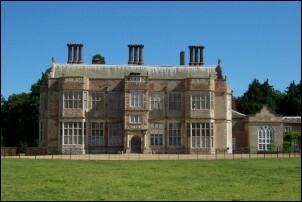 But as well as the House he left behind a fascinating legacy, his work Felbrigg: Story of a House. 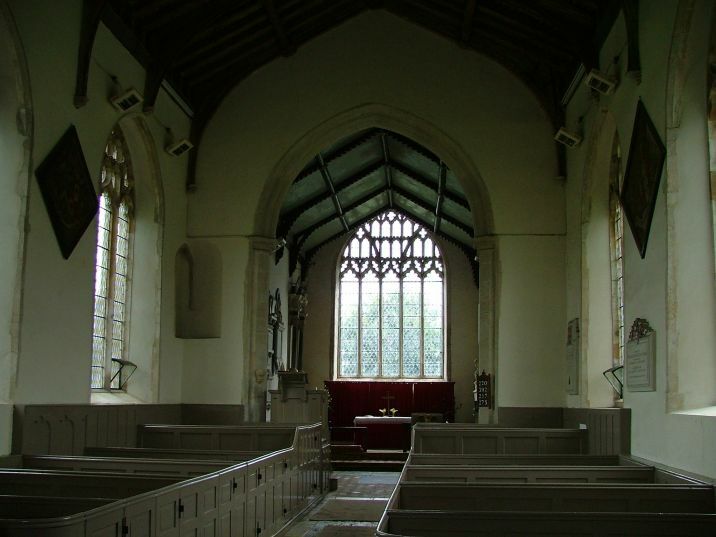 This documents the history of the building and its people over six hundred years of history, which would be interesting enough; but Ketton-Cremer wrote like an angel. This is a wonderful book, quite the best evocation of life down the centuries in a Norfolk community that I have ever come across, and a moving testament to one man's exploration of his ancestors. Thoroughly recommended reading. 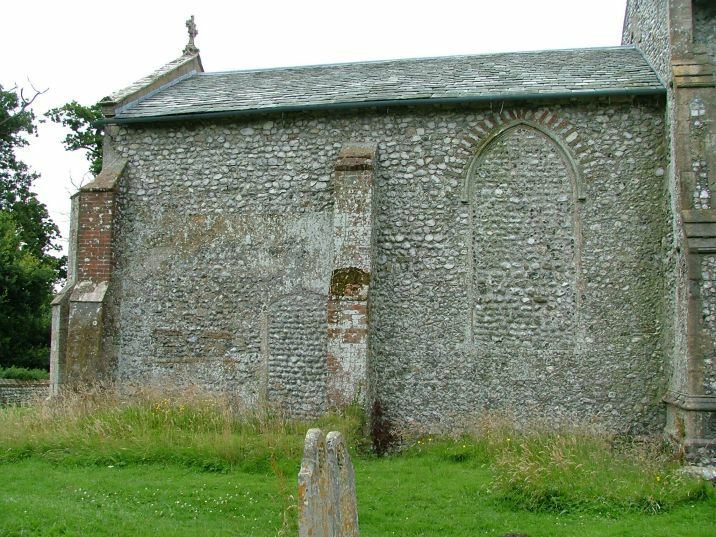 The church is to the east of the hall, set in fields that you cross on foot to reach the walled graveyard. 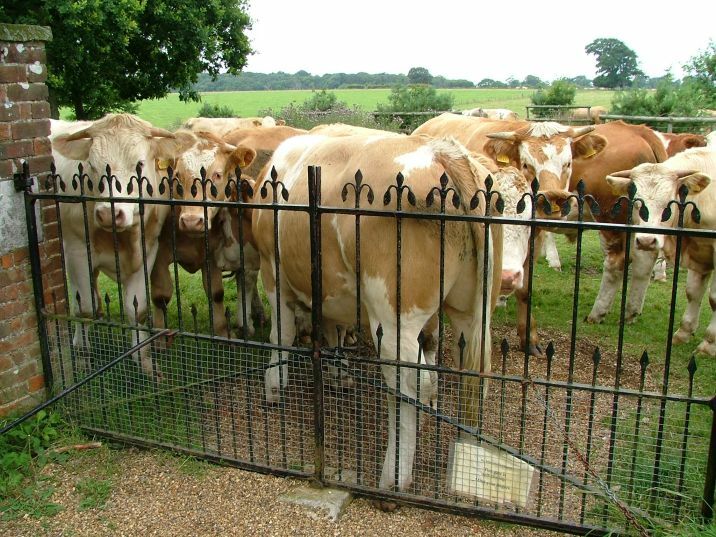 The main field on this particular day was full of frisky young heifers, which may have put some people off of the walk, but not us. I was glad I'd worn sensible shoes, though. 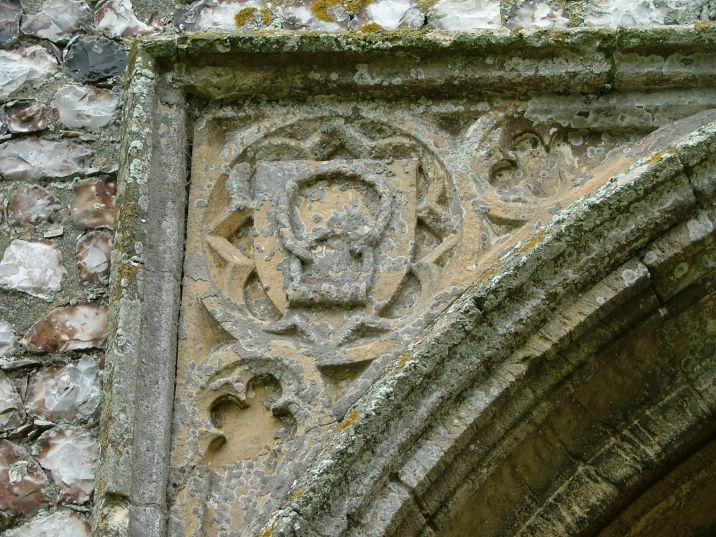 The tower can be fairly accurately dated by the badge of Simon de Felbrigg in the spandrels of the west door. 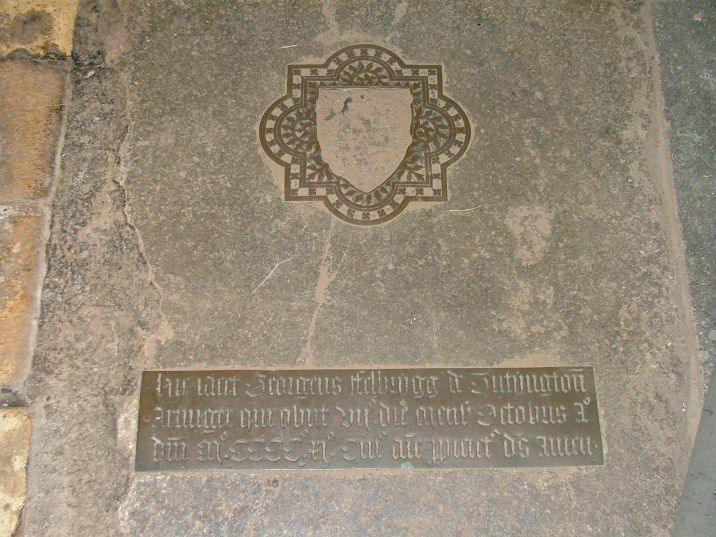 He died in 1442, and so the tower was probably started in his lifetime, and finished by the middle of the century. 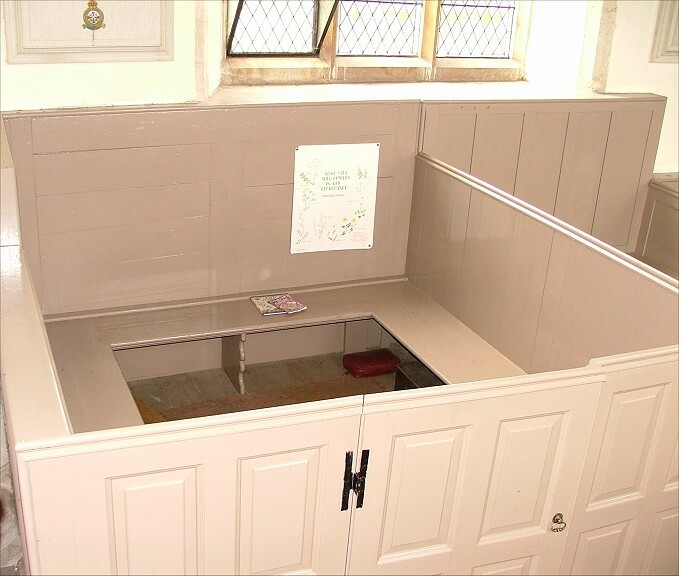 The body of the church has been extensively restored by the Victorians, but even before this the family were busy blocking off windows to allow their monuments to be set against the walls inside. 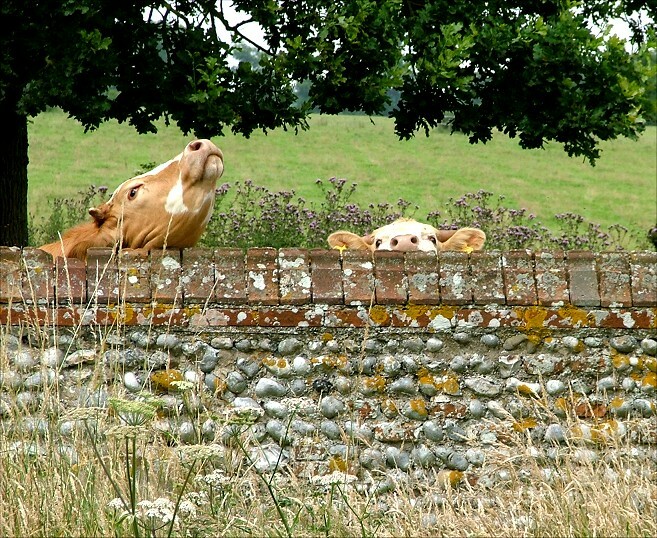 There are no other buildings near; if there ever was a village, it has gone long since. Elbowing our way through the inquisitive bullocks, we let ourselves into the graveyard (for obvious reasons, the gates close automatically) and walked past what appears to be some kind of base for a vast unfinished monument. 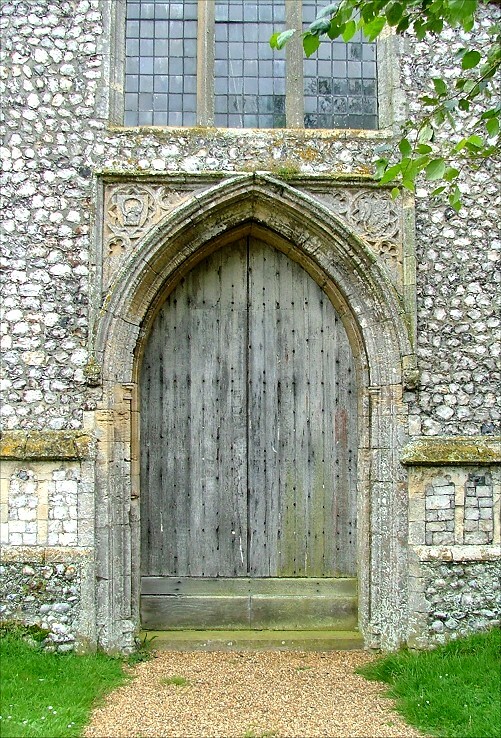 The south porch is very simple after the grandeur of the west door, and we entered a church that should have been gloomy, but wasn't even on this dull day - the windows that have not been blocked are full of clear glass, thank goodness. 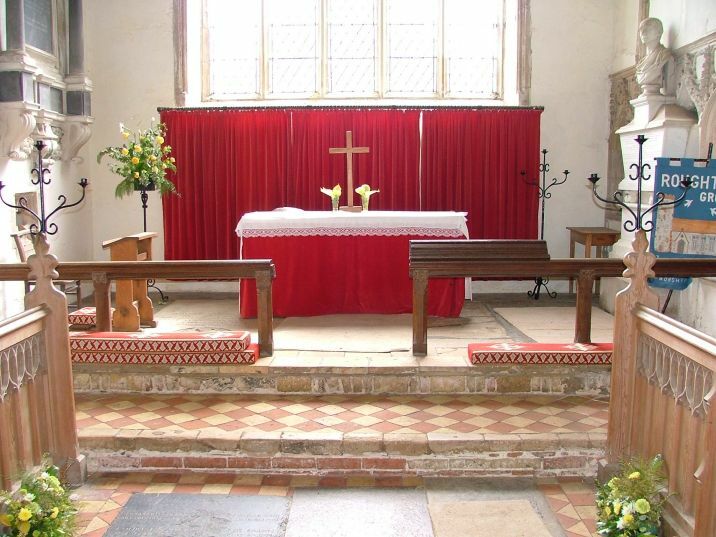 The church inside has a reassuring feel of a rural early 19th century church, the creamy painted box pews leading the eye to a fairly simple sanctuary. There are monuments all around, but they do not overwhelm, even the massive one to William Windham by Grinling Gibbons. 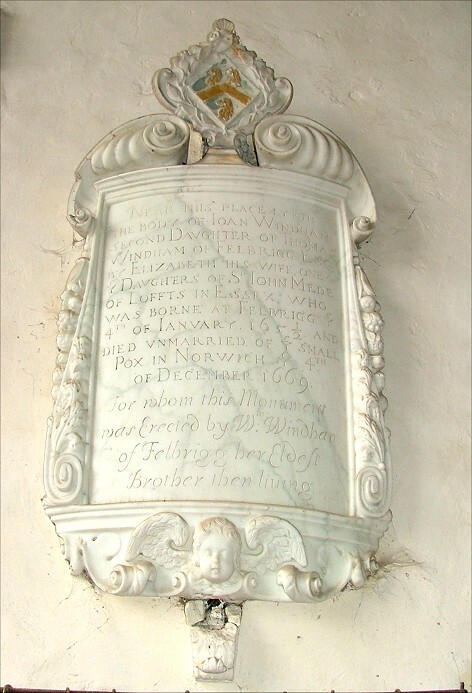 He died in 1696, and his similarly-named grandson, who died an impossible-seeming 117 years later (presumably father and grandfather came late to child production) has a memorial by Joseph Nollekens. This William Windham was secretary of State for War under Pitt the elder, and you can see from his bust that he knew full well he was an important person. There is also a certain arrogance about the way he backs into the sedilia. The brasses are up the middle of the nave and in the sanctuary. The two best are one in each. 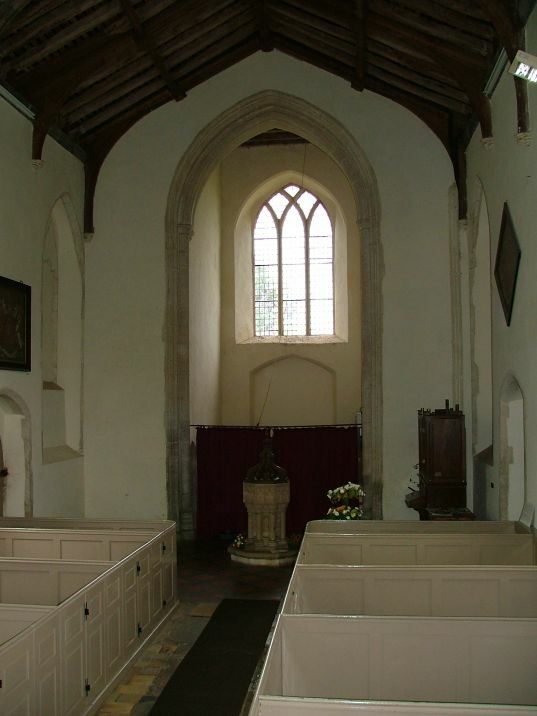 The most famous is on the southern side of the sanctuary. 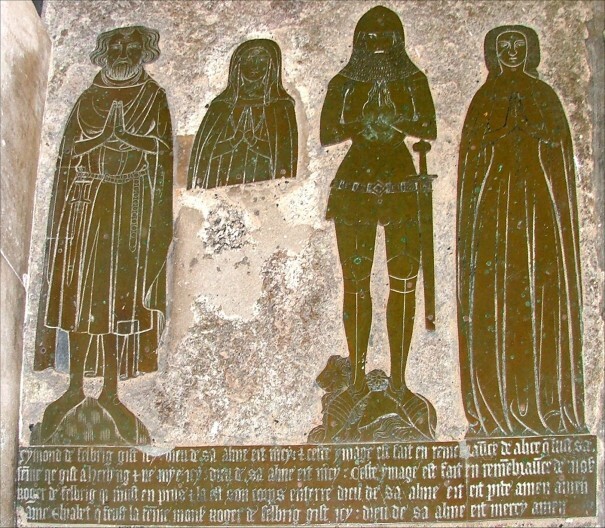 It depicts four figures, two couples: an earlier Simon de Felbrigg and Alice his wife (died 1350s) and his son Roger de Felbrigg and Elizabeth his wife (died 1380s). 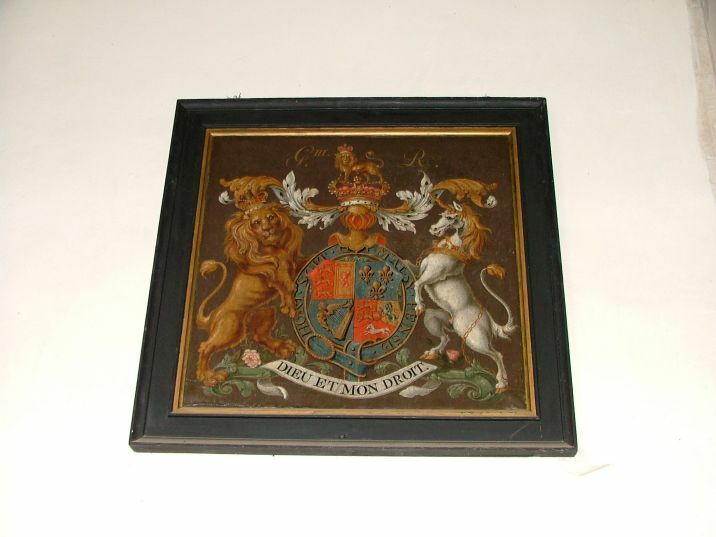 The inscription is in Norman French, and apparently records that Simon and Elizabeth are buried here, Alice at East Harling and Roger in Prussia where he died. I wonder what he was doing there? 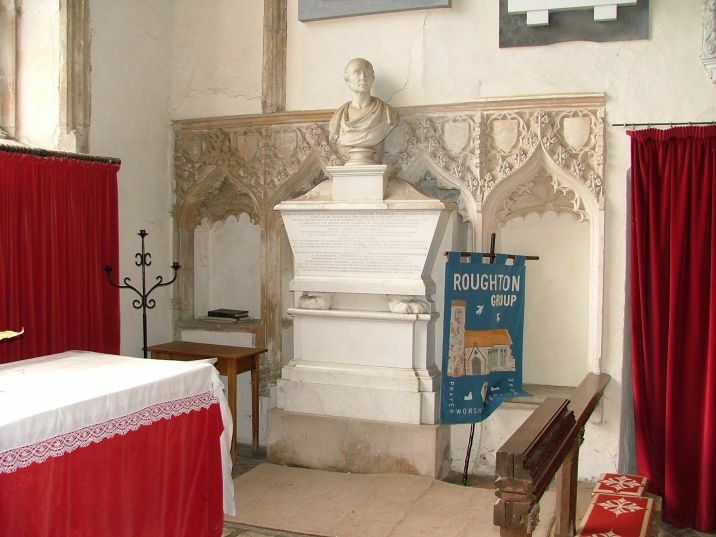 Then, at the eastern end of the nave there are the magnificent Simon de Felbrigg who built the church and his first wife Margaret. They are life size. 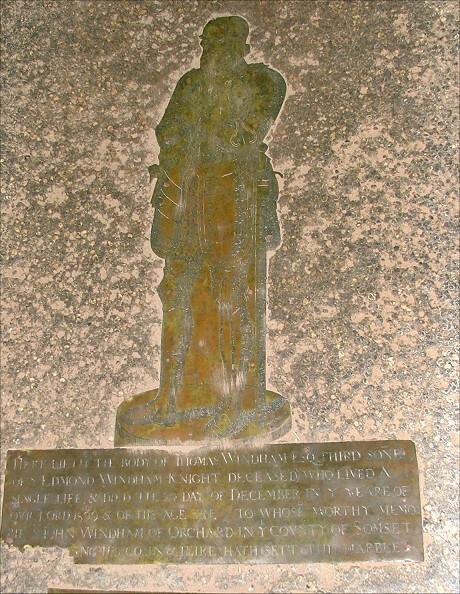 Margaret was cousin to Anne of Bohemia, wife of Richard II, and Sir Simon is one of only six Knights of the Garter depicted in brass. Curiously, his dates are blank, and he is buried in Norwich. 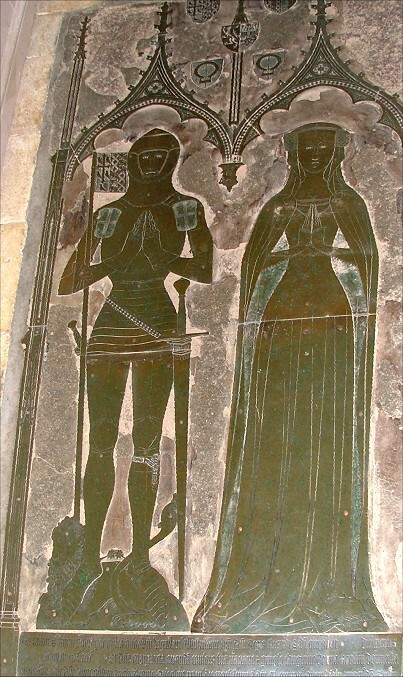 Another pre-Reformation brass depicts a lady. 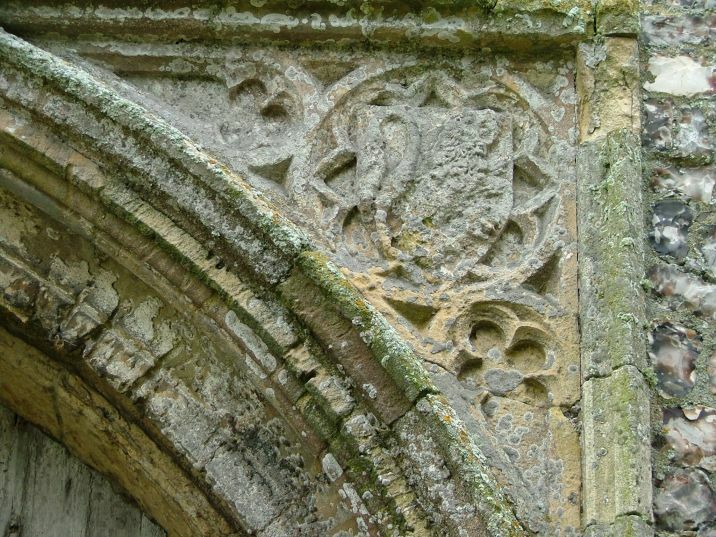 It has been dated as about 1480, but unfortunately she has lost her inscription, so we don't know who she is. A pity, because she is absolutely lovely. 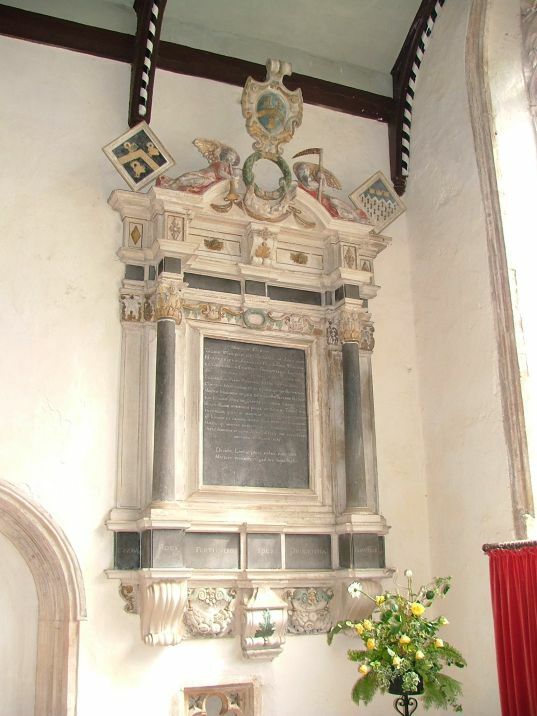 There are two good later brasses; Thomas Windham, who died in 1599, is in the nave, and his sister Jane Coningsby, 1608, is in the chancel. 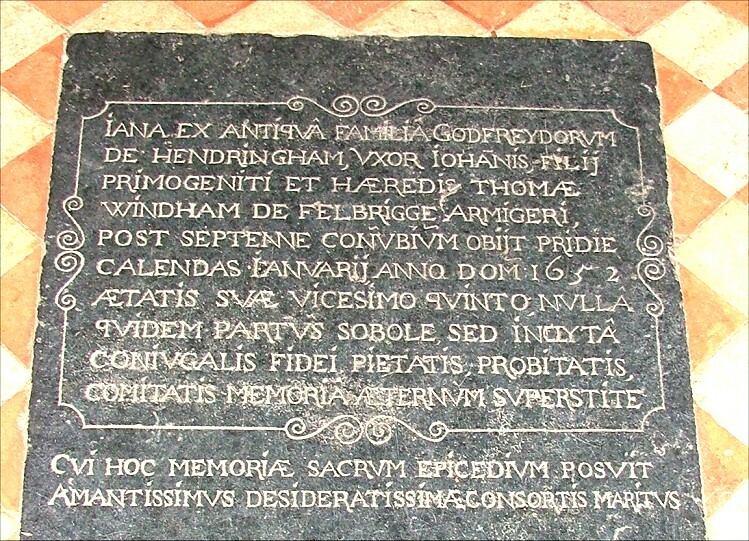 There is a ledger stone in Latin for Jane Windham dated 1652, which is curious, because the Windhams were thorough-going puritans during the Commonwealth. 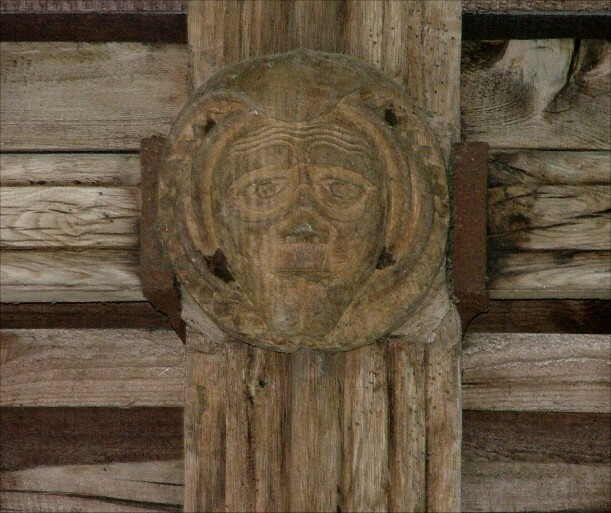 There are bosses on the nave roof, although Pevsner says that some of them were put here as part of the 1950s restoration. 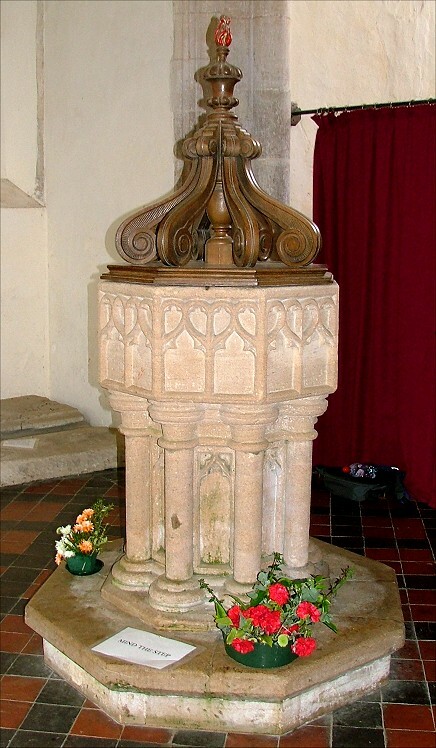 Also modern is the font cover, although the font itself is a surprisingly primitive late 14th century one. 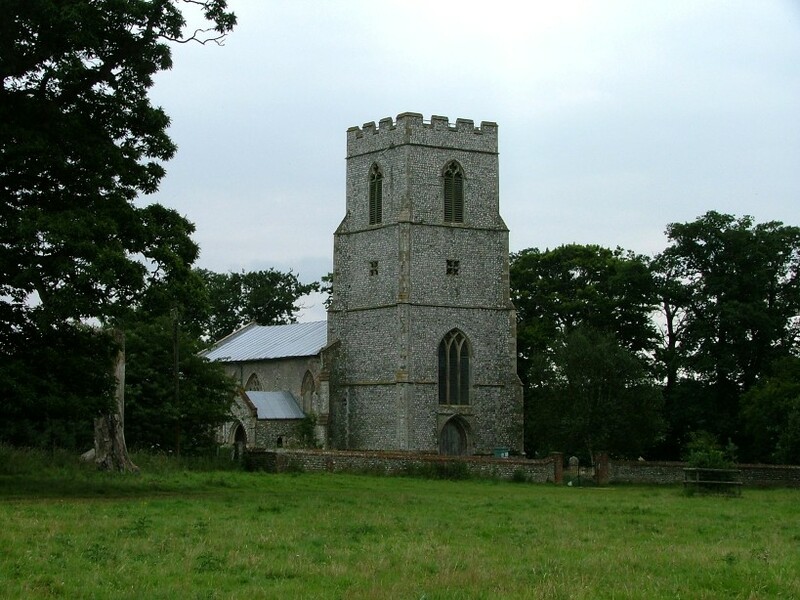 This church is so lovingly cared for that it is worth pointing out that it is not in the care of the National Trust like the Hall, or even the Churches Conservation Trust, but it still in use as part of the Roughton group of parishes, all of which are as open and welcoming as this one.